My study of prophecy was inspired by my very first encounter with vision in the early hours of the morning, moments before becoming completely awake. In other words when the body is still asleep, but the mind becomes awake. The visions first started after a period of well-rehearsed self hypnosis sessions so I would remember what to do first thing in the morning. What I would do was to instil in memory the habit of looking for light in the darkness the moment when I became conscious of waking up. What I would see is light like an aurora, but which would completely expand to illuminate the full field of vision with closed eyes. To test if I was actually awake and not dreaming, I would wiggle my little finger. As one moves any physical muscle in the body, you are taken out of the natural trance state of the mind. The body must be virtually asleep. The same happens if your intestines are processing food. Muscle action will prevent deep trance. Hence the need to fast. During this trance like state images start to appear from a mist and become recognisable and with such clarity that one cannot help questioning whether what is happening is an ‘out of body experience’ (OBE). By wiggling the little finger and concentrating on not losing the image, I realised that what I was experiencing was not consciousness out of the body since you feel you are still within your body. If it were not possible to move ones finger… one would probably be out of the body. By thinking of where one wants to zoom into or move in the vision (as it is said to be in astral travel), you can move around the setting in the vision. The first ever such vision I experienced was a funeral gathering. Days later, after much pondering on this bizarre subject matter, I came to the conclusion that what I had ‘seen’ was: either my own funeral or a memorial gathering commemorating my funeral some time in the future. Although I found this to be quite disturbing initially, I realised that it made considerable sense that the fabric of time would allow the soul, which is connected with The Creation, to traverse time. Perhaps as a teaching mechanism and also since it really is the next moment in time when the soul is completely free again. From this day forward I saw many more extraordinary visions that changed the way I saw life, and it changed my priorities completely. The visions were about anything from the beginnings of the great pyramid civilisations to their end, not to mention the end of life on Mars. The message I felt I was getting from all this was a sense of responsibility to find out more about what I had learnt and share the knowledge acquired driven by this sense of responsibility. For someone like me who had never been compelled to read, or write about anything, not only did it feel strange suddenly to have a sense of craving to do research, but I suddenly began writing as well. Over the next few years the new insights I was acquiring would be amassed in files and files of material. To me the inevitable next step was to secure copyright, since I remembered a condition in the beginning - if I was shown all, I would promise securing it and bringing it forward with less risk of others altering it. A published book sounded like the only way forward, so the material could be safeguarded but be available to all with a free on linee short version and at the same time at an attractive book or DVD price structure so most can afford the important records. What I had also ‘seen’, and which was one of my greatest motivations for beginning this particular website, were some awful happenings that would present themselves here on Earth with a certain amount of probability in the future - if we do not make some big changes soon. In my experience documented on this website and the latest shocking updates on prophecy on The Hidden Records site I saw an approaching disaster that CAN be averted. I was shown that prophecy of Revelation as Wormwood and Nostradamus of his bearded star was no fantasy... That we have been protected the last 10000 years from all meteor impact events. Our world would look like the moon, Mars and Venus... like swiss cheese with impact craters... IF... the visitors watching over life in our skies did not alter comets and asteroids paths from impacting Earth. If you believe in God... you believe your thoughts and emotions and insight are 'connected' to God... TRUE? YES... this belief seems to be real for most spiritual people. THE SUFFERING WILL NOT BE ALLOWED TO GET ANY WORSE! IF YOU WERE GOD... RIGHT NOW... YOU FELT THE SUFFERING... WHAT WOULD YOU CONSIDER? 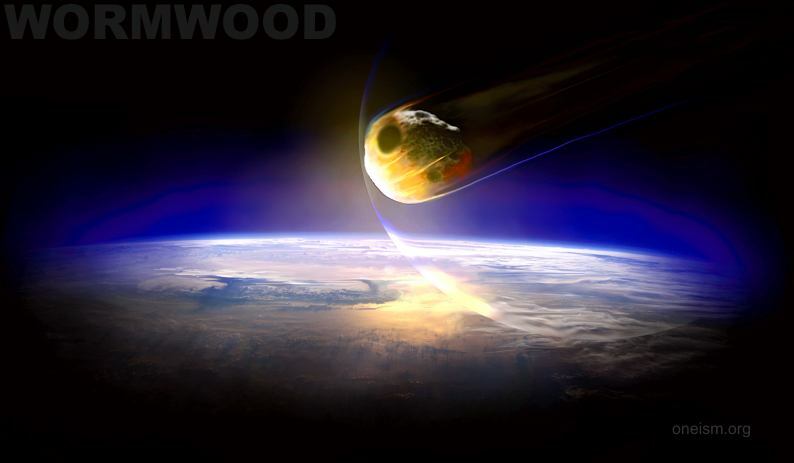 WOULD YOU WANT THE ADVANCED ENTITIES TO KNOW WHO HAVE PREVIOUSLY AVOIDED IMPACT EVENTS THAT THE NEXT MASSIVE ASTEROID MUST BE LEFT ALONE... ONE THAT IS EARTH BOUND AND QUITE NATURAL SO THOSE SUFFERING CAN BE RELEASED... TO COME HOME? Only God the Creator has the right to chose to take back souls on this scale. It is NOT up to any human to make such a decision especially the elite who are the cause of the problem to try and wipe out masses of human lives while keeping their abomination of manipulations making the suffering begin all over again with their corrupt ways. I was shown if we could avoid naming people directly but expose the logic and reasoning that it was simply the richest people in the world who are responsible for the profiteering who created the suffering, who made education unreachable, and the work of the poor without fair reward. AN EVENT THAT MIGHT BE COINED: "THE GREAT HUMAN UPRISING" that follows some sort of miracle like a cosmic messenger event that calls for an expression of humanity to show their choice of actions: To make a peacefull stand or ignore the messenger and accept and trust their current powers that be to be left alone. THEN THE NEXT BIG IMPACT EVENT MIGHT BE AVERTED! The End Times… revised ? Most updates will be shown here on The Hidden Records website. As many in this day and age believe, I concur that humanity is currently in an unstoppable downward slide into further chaos and suffering and if it is so, then it is likely that some famous age-old prophecies are about to be fulfilled. Some unlikely New Age ideas for what will potentially happen in the future. The most disconcerting thing at the moment is that a very active elite funded group are trying to stop the spread of knowledge on all the star maps released to date. The Maya writings suggest an awakening of spirituality around about now and because in the Mayan Calendar time does not ‘end’ in 2012, perhaps they were predicting that something life changing would happen shortly after it ref . Does this mean doom and gloom, or will a new awakening spirituality grows from strength to strength with the gentle beginnings of a golden period. Only time will tell. The general parameters of prophecy outlined here is the basis of what many great seers have already ‘seen’ and written about. Because the visions I have seen incorporate many of the details they describe, I sense an element of urgency in getting the word out there. The seers who have the most famous records are listed in order of the highest probability of their credibility in relation to what I have ‘seen’ and researched. It is slipping deeper into chaos and more suffering, as our needs for food, shelter and daily necessities become exhausted and the multitude of people earn too little to make a decent living. We are also entering the age of deception. More propaganda by those in positions of power will attempt to brainwash us through seemingly credible television tactics. Broadcast content will be on the basis of whether what is being reported on is in line with the governmental stance these broadcasters represent. Invariably they will represent governments whose prime agenda is categorically to make profit, have control of world resources and of the masses. Reports on any wars in progress will be censored, falsified and have fabricated witnesses give testimonies that are untrue. The ensuing unrest will spark off more attacks involving first world countries around the world. and if there are survivors… arrest them. Every country around the world follows this protocol. Ironically these governments are of the notion that they are strong enough to exercise their might against beings that are highly advanced. It sounds as ridiculous as people with bows and arrows shooting a fully armed war helicopter. If anything, such an approach by our powers that be, are enough reason for visitors not of this world deciding they will not help us with anything directly. But there may be other reasons. If we reason celestial visitation by angelic beings in the full context of our historical records, then what will become apparent from these accounts is that more harm than good was done by their direct interaction here. Such ‘heavenly’ visitors have managed to trigger a very primitive response in the human psyche. For what followed after the visitations stopped, is what may well have led to many civilisations like the Maya to their ultimate demise. If the celestial visitors were involved in the collection of female eggs and male seed to propagate healthy life elsewhere in the universe, as I believe they were, and if they had willing participants, some perhaps agreeing to leave the Earth with them for this ‘honourable’ purpose, things may have been a little confusing to the ancients. Could it be that long after the visitations by these beings not of our world that the ancients revered as ‘gods’ had passed, they craved their return. The ancients probably thought it possible to attract a revisit, if they were to sacrifice their own people back to the ‘gods’ again as an offering. Could it be, that the Maya mistakenly believed that the ‘gods’ wanted more human life or their very essence… their blood? I believe that such misguided worship of the visitors from above as ‘gods’ happened on a global scale. Emotion compelled people to offer gifts as varied as food, and human life - the ultimate sacrifice - to the ‘gods’. We need to consider now if this scenario is why the celestial visitors do not interact with us officially in the open any longer. Or if a universal law of no interference is in place? The number of people suffering in this manipulated world obsessed with profit will soon be over 4 billion and from what I have ‘seen’, The Creation will not let this go on any longer. I believe a universal law prevents advanced civilisations from interfering with us, because our civilisations are over emotional, violent, aggressive and destructive. Since The Creation shares life with all its life forms, The Creation would not allow any more suffering once the situation reaches a certain level. A natural cataclysmic event becomes a likely probability once the critical level has been reached and surpassed. See updates here:The Hidden Records . I believe it is not The Creation that would ever decide to end life. It is far more complicated than that. In all probability, advanced life forms universally would most likely agree that it is wrongful to continue to protect our planet from meteor impact events IF it is in absolute chaos. I believe they have been protecting it for the last 10 000 years. A decision not to help us would be logical, even if it sounds wrong. If they were to intervene they would simply prolong the chaos and suffering of billions of innocent lives, a mass suffering shared by The Creation. Scientists not subscribing to the idea that we have been protected find it strange that the moon, Mars, Venus and mercury display so many impact craters. They prefer to attribute the impacts to events millions of years ago. But they may well be mistaken when it comes to their timeframe calculations. Massive impact events probably occur in the frequency of around every 2000 years or so, on the moon and other nearby planets. Earth last had its last major impact event over 10 000 years ago. It seems to have also caused the massive flood that made itself felt as ‘recently’ as 535 AD when the last barbaric blood thirsty empires were extinguished. St John’s prophecy in ‘Revelations’ mentions a mountain falling from the sky. He calls it wormwood. According to Mayan calendar time is not import after 2012 in the vicinity of the land where the Mayan civilisations once dwelled. Nostradamus mentions a bearded star and it brings terrible destruction at a time when the world is in chaos. Let us hope that we can make some basic changes in time before the moment is on our doorstep. Because if we can, there is a chance that such an impact may well be averted by those that come from above. The exact date is unknown but the meteor will be seen when it is too late and probably during the times of Nostradamus’ ‘great games’, potentially the next Olympics? It will be seen coming from the Sun and will be sighted in a solar eclipse a day or so before impacting our planet. A great aurora will be seen in the Northern Hemisphere shortly before it impacts near the Mediterranean. Another Dark Age might be upon us where the Sun will not shine for many months. Scientists have not realised that many of the cratered scars on this Earth, so-called calderas, are not the remains of natural volcanic events, but the remnants of meteor impact events. In an impact event, the meteor penetrates the Earth’s crust and magma, then disintegrates completely beneath the crust releasing all its energy causing the so called ‘eruption’. The last Dark Age was in 535 AD. At the time a global cataclysmic event caused so much debris in the atmosphere that the world was in darkness for more than a year. It probably ended the barbaric eras of the Maya, Inca, and Angkor civilisations. Meteor impact is only a part of the problem. The greatest loss of life will potentially come from the war that is inadvertently started by the impact. The meteor will look like an incoming missile to those not in the know. The incoming streak of light and a bright blast with a wall of fire could be misdiagnosed as a nuclear attack. Military command centres spread word of the ‘attack’ and ‘many hands’ press launch buttons, as seen clearly in vision by Nostradamus. After the apocalypse a new world order emerges apparently emerges with a golden era. But before it humanity is enslaved with the mark of the beast. The ‘bar code’ type system may soon be forced on every human being. Humanity must resist having the ‘Mark of the Beast’ implanted or tattooed on one’s arm, not only as an identification ‘card’ but also for one’s credit status and banking. Humans are treated as a commodity. The bar code system has already proven its success in all spectrums of commercial trade. The mark is the use of three separation bars between the coded mark for price and the mark for product... three bars representing the digit 6 three times… a mark that will make it easy to enslave humanity if a destructive leader get his chance as a world super power. If we do not resist we are at severe risk of becoming enslaved if a tyrannical leader were to get his chance as a world super power. If there is one all important and certain thing to watch out for in the study of prophecy then it is the prophecy of the mark of the beast that will enslave humanity, seen in the Biblical chapter ‘Revelations’. St John speaks of a mark on the ‘wrist’ or ‘forehead’ and that we will be controlled by a destructive anti-Christ world leader. St John also wrote that if one does not have the 'NUMBER' which is a 'MARK' on the right hand, which is '666', one cannot buy or sell without it. The lower to middle class society will most likely soon be forced to have such a tattooed mark and the proof of how it works has now been revealed. Without doubt it is the barcode system used today for trading goods. 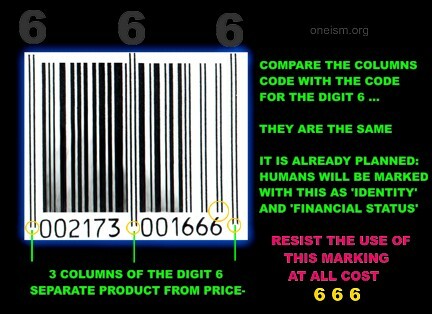 It was invented using three separate columns using three sixes... the '666 system' to separate product from price. Check it out yourself. The code uses digits with sixes as its three separating columns. The code on the right uses a separate code to that on the left hand side of it. The column (digit six) matches the code for the numeral six on the right. If St John was right then he is saying humans will be traded like goods - human enslavement - under a new tyranical world leader. Humanity must resist the the tatoo and implanted human credit card system. It is the first step in gaining control over not only people if a tyranical leader is given power, but control of all your money and where you are using it. People of lower status will be marked with a tattoo on the ‘wrist’ that can be scanned. Those of higher status can be implanted with a chip inside the ‘forehead’ through the nose. A chip that is satellite traceable! There will be nowhere to hide once this system is in operation. In an orderly world it would work perfectly. But in a world in chaos, this system will only serve to feed the success of a destructive tyrant controlling the world. The prophecy of Nostradamus identifies this person as a man named MABUS or RAY POS. Look very carefully at people that have a name close to either of, or both these names around the year 2016. Google these names and see what has the internet buzzing. To prove this… go to your grocery cupboard and pick an item that has a digit 6 in the section on the right hand side (the code in the left hand section uses a different encryption). You will notice that the bar code associated with the 6 is comprised of two lines. The columns code is comprised of two lines in exactly the same way. Watch this space for a link to a special page that will highlight and refers with colour coded text to all of St Johns prophecies. There is absolutely no other way that St John could have described this system more perfectly. Go to this online link for all the the Nostradamus prophecies. The Nostradamus prophecy codex titled ‘The Centuries’ comprises ten centuries (listed as C1 – C10), which refer to 100 sets of Quatrains (listed Q1 – Q100), which are sets of verses with four lines each. Nostradamus whilst in deep trance produced these carefully written quatrains. They are designed for scholars to recognise important signs without it being too obvious, especially for those tyrannical leaders of the future set on enslaving humanity. Nostradamus provides many references to what scholars all generally agree is the coming of a new age… a new spirituality that will unite humanity. I will reference the most prominent Quatrains and I provide my own notes beneath each Quatrain. The old ways will be improved. will cause land, sea and country to vibrate. Memphis – At the time of Nostradamus one would most likely be referring to the most obvious: Memphis in Egypt, a pyramid site that had at least seven pyramids in a cluster. These pyramids most likely represent the seven stars of the Pleiades. See: The Hidden Records. The quatrain suggests that people will learn of the secrets of the pyramids at a new site. Mercury – In this context suggests a messenger. Mercury was the ancient Greek deity who could fly and was a messenger who carried the Caduceus - The Tree of Life. Fleur De Lis – French representation of the Tree of Life (fitting the nationality of Nostradamus). HERCULE – Normally the name is written as HERCULES going by the other Quatrains but here the ‘S’ has been omitted. This is probably a clue to the name or character similarity comparison of the new messenger. The messenger is no doubt compared to the historical mythological figure known to battle against destructive forces. Vibrate – In this context it suggests a global phenomenon vibrating with excitement. Perhaps the buzz of global gossip or media exposure etc. It could also be an global Earth tremor with a paranormal event tied into a massive UFO sighting. a wonderful event will come. placed instead of the gnarled ‘rock' of previous. Pillar – Most likely the pillar of light phenomenon of The Tree of life. Pophire – An interpretation most likely here of one of the Neoplatonism founders, Porphyry. (See Neoplatonism link earlier). Mention is made of the sacred pillar of light of The Tree of life. A second possibility or dual meaning here is the French word for five ‘universal voices’ (five world religions), which sounds very close to Pophire suggesting perhaps five primary religions evolving into ‘one’. What they all carry is the sacred cosmic pillar, the Tree of Life. (See earlier link on the big five world religions). Rock – Many scholars have suggested the Church of Rome, derived from Peter ‘The Rock’ but it most likely refers to temples made of stone or the basis of traditional religion itself. Compare this with (C1 Q96) that follows next. using the same ‘rock’ symbolism. Gnarled – Perhaps suggesting either damaged or altered texts by human hand or the traditional design of Gothic cathedrals with their protruding gargoyles. temples and sects altered by fantasy. He may harm the ‘rocks’ but not the living. Ears filled with ornate speech. Fantasy – Paranormal/Unidentified Flying Objects etc. Rocks – Again this is suggesting Churches, Temples or the basis of traditional religion since in this particular Quatrain it explains itself with the first line. to that of heaven and earth, mystique as gold. Body and spirit are both powerful. All is beneath his feet as if heavenly. Heaven and Earth of the ‘mystique’ – ‘Secret’ of who we are both spiritually (of heaven) and who we are physically (Earth - human origins). 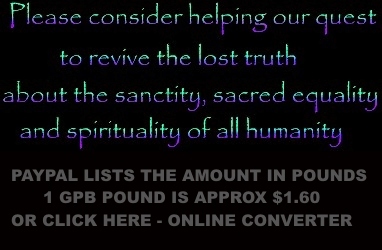 Body and spirit – Confirms previous line where both secrets are powerful and moving. is heard on holy ground. It seems to suggest that the greatest religions of the world begin to reason the material presented for a new belief system. and the human spirit here rather than an angelic visitor or traditional of belief of a Messiah coming down from the Heavens. More importantly, the old belief of a Messiah being ‘God incarnate’ might not really be the case here. The ‘messenger’ is of human form but most likely not of the Earth, and connected to The Tree of Life and probably speaking on great revived ancient knowledge. a calamitous war under that of Cancer. who will bring peace to Earth for a long time. Sceptre – Mars/Jupiter combined +/- 2yr cycle - perhaps Feb 2009 and May 2011.
one who will take Thursday as his holiday. on land and sea causing discomfort in the East. East – Discomfort perhaps only to those that are not comfortable with change. the heavens approach near to the balance. Moon – Reference to the birth sign of Cancer which is led by the Moon. Heavens/balance – Suggesting both the galactic alignment in 2012 and that the cosmos is back in balance, without human suffering and disorder. takes Monday for rest and meditation. delivering a great nation from oppression. Journeys from far – suggesting the messenger is not of the Earth. Mooric law – One that previously denied rights to women. Boristhenes – Former Russian law - perhaps suggesting that communism becomes completely extinct first. Gift and word – Suggests that something is sourced from a human gift of sorts that probably brings forth word. Rebirth – The same day the soul passes it is about to experience being actually physically born again. Another life is strongly suggested here literally right away as reincarnation. Divine Spirit – The Creation – It suggests here the soul rejoices in a short reunion with The Creation. Watch this space for a special page that will highlight and reference all the Nostradamus prophecies with colour coded text. There was one time I thought just my work alone showing the hidden records is being identified in prophecy. That time has been and passed. Now that my work is done I hand the project of work over to active investors who will continue to promote and protect the work while I take a very long break ref .